4 Lunchtime Procedures for a Refreshed Look on the Go! New Yorkers want to have beautiful skin without significant downtime. 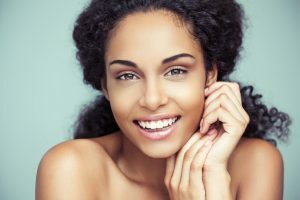 Here are 4 minimally invasive procedures that are safe in all skin types and will brighten, tighten, smooth, and decrease fine lines in under an hour. Microdermabrasion is a non-invasive treatment that gently exfoliates and removes the superficial layer of dry, dead skin cells using fine a diamond tip wand powered with a light suction vacuum. It feels like a gritty facial massage that is not painful to most and generally results in very minimal redness. After the treatment, complexions can appear brighter, more even in color, and more radiant. A series of treatments can help with issues like melasma, hyperpigmentation, rough skin, and clogged pores. Titan is a device that can be used to address skin laxity on the face, neck, and body – everything from drooping eyelids, to jowls, neck skin, post baby stomachs and more! It utilizes a safe infrared light that heats the dermis well below the skin’s surface stimulating contracture of collagen and leading to a tightened, more defined appearance. During the procedure, the skin’s top surface (epidermis) is protected through continuous cooling with the Titan handpiece. The procedure is quick, comfortable, and leaves mild redness and swelling that resolve quickly in most cases. A series of treatments is recommended for best results. Sick of wearing foundation? Laser Genesis is a noninvasive laser designed to target fine lines, scars, large pores, redness, and uneven skin tone by heating the upper dermis of the skin. The treatment is quick and feels warm, similar to sitting by a campfire. There is no need for topical anesthetic and most patients experience no downtime. Almost immediately, skin can appear smoother in tone and texture. More Genesis means less make up! Botulinum Toxin (Botox, Dysport, and Xeomin) was the top non-surgical cosmetic procedure of 2016 – for good reason: it prevents and treats wrinkles. With a few well-placed injections, exaggerated lines in the forehead region and around the eyes can be decreased, if not altogether avoided. The injections take only a few minutes and most people leave with no sign they ever took place. Patients can return to work, but should avoid lying down and exercising for 4 hours. The effect of Botulinum Toxin takes around 5 days to 2 weeks to kick in and can last for around 3 months. Remember: The best wrinkles are the ones that never happened.